With Halloween just a week away, it’s time to start thinking about what’s on the horizon for October 31st. 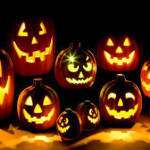 This year, as aways, the San Diego area will be offering plenty of Halloween entertainment for both kids and adults. Whether you’re interested in haunted houses, trick-or-treating, or costume parties, finding something to do this Halloween shouldn’t be a problem. At the parade, onlookers will be able to watch costumed characters, clowns, local politicians, beauty queens, and marching bands as they make their way down a 1-mile route on El Cajon Boulevard. The parade, which begins at 10 a.m. this Saturday, will stretch from 59th Street to Aragon Drive. Afterwards, a free carnival will be held from 11 a.m. to 5 p.m. at the College Avenue Baptist Church (4747 College Ave.). The carnival will feature rides, food trucks, and other not-so-scary fun. Currently, the Boo! Parade and Carnival is still looking for volunteers and sponsors. To find out more about the event, call (619) 582-1093 or visit the College Area Business District’s website. If you’re looking to trick-or-treat this Halloween, finding the right spot is essential. Thankfully, San Diego just so happens to be one of the best places in the country to score some candy. In fact, real estate tracker Zillow ranked the San Diego area as the nation’s ninth best place for trick-or-treating in 2014. Of course, when it comes to candy, some neighborhoods are better than others. With Halloween just a week away, Zillow took the time to rank the top 5 neighborhoods in San Diego for trick-or-treating. In evaluating the neighborhoods, Zillow focused on home values, population density, walkability scores, and local crime data. 1. Del Mar Heights – This area sits west of Interstate 5, north of Carmel Valley Road, and south of the Del Mar Fairgrounds. It was ranked by Zillow as the top neighborhood in San Diego for trick-or-treaters. 2. Loma Portal – This section of Point Loma is particularly good for those who are looking for lots of easy candy. Stay in the area between Rosecrants Street and Nimitz Boulevard for best results. 3. 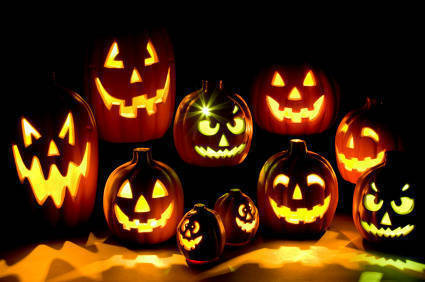 Kensington – Come Halloween, the Kensington area tends to be a hot spot trick-or-treaters. In this neighborhood, it’s best to stay north of El Cajon Boulevard, between Interstate 15 and Fairmount Avenue. 4. Carmel Valley – Every year, the residential neighborhoods in Carmel Valley provide trick-or-treaters with a good selection of sweets. The area extends east of Interstate 5, both north and south of Highway 56. 5. Mission Hills – This spot is ideal for those who look for quality over quantity when it comes to their candy. Mission Hills encompasses the areas between Presidio Park and Washington Street.